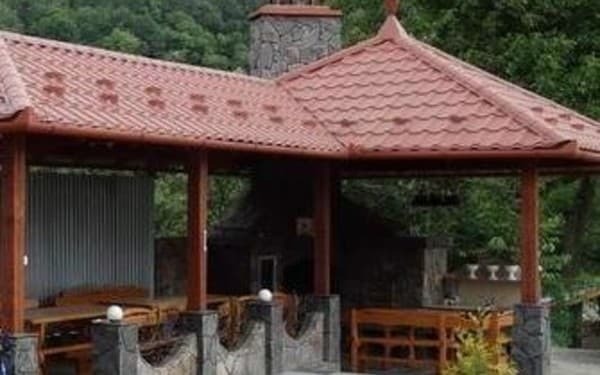 The private estate "U Arthur" is located at the entrance to the village. Solochyn. 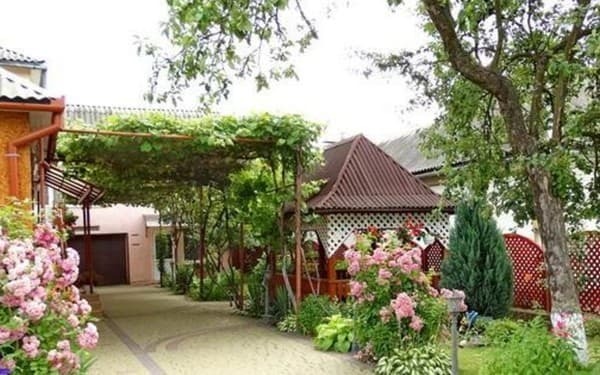 The clients are offered accommodation in a cozy 2-storey house for 12 people. The guests are fully equipped with a kitchen and 6 cozy double rooms. 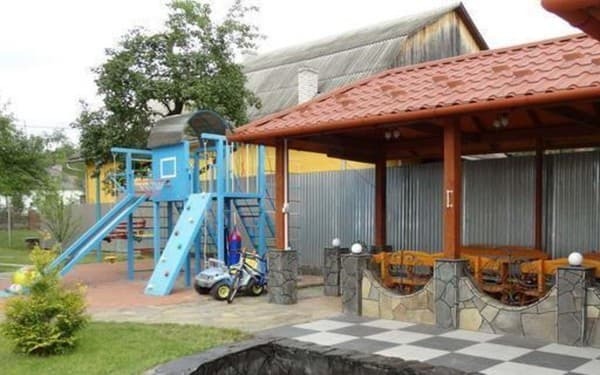 On the territory of the estate "U Arthur" has a gazebo and BBQ, children's playground, summer pool, parking. It is also possible to organize excursions and transfer orders. The nearest ski lift is 500 m away. PRICES MAY CHANGE, IT IS REQUIRED TO RECEIVE INFORMATION FROM THE OPERATOR. 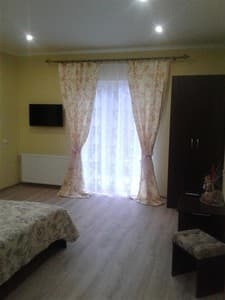 Description of the room: Cozy 1-room apartment, which has everything you need for a comfortable stay: a double or 2 single beds, a sofa, a bedside table, a wardrobe, a TV, a table, a bathroom. There is an opportunity to use the kitchen. 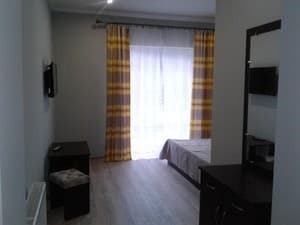 Description of the room: Cozy 1-room apartment, which has everything you need for a comfortable stay: a double bed or 2 single beds, a wardrobe, a table, satellite TV, a bathroom on the floor. There is an opportunity to use the kitchen. 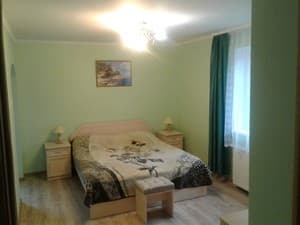 Description of the room: Single room 2-bed. In room 1 double bed, bedside tables, wardrobe, chest of drawers, chairs or footstools. 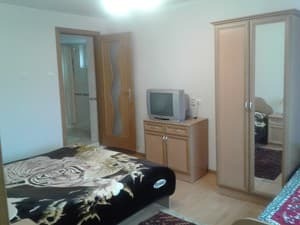 Own bathroom with shower, washbasin, toilet, shelf-mirror, hairdryer, toiletries. 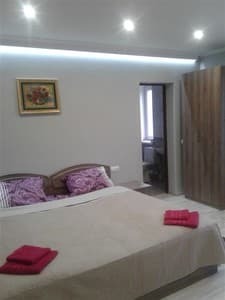 Description of the room: Cozy 1-room suite, which has everything you need for a comfortable stay: a double and single bed, satellite TV, a wardrobe, a bathroom on the floor. There is an opportunity to use the kitchen. 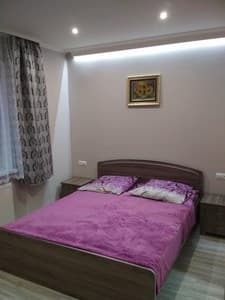 Description of the room: Two-room number in which there is a double bed and single. Description of the room: Two-room family room with a balcony. Equipped with a bunk bed for children. Чисто, уютно, красиво..в номерах есть все необходимое..на кухне как дома.. Нас было две семьи с маленькими детками и ещё двое взрослых, нам всем очень понравилось. 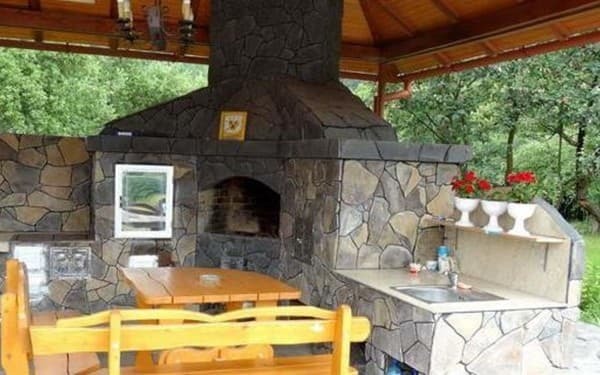 Хозяева хорошие, приветливые, отзывчивые люди! БОЛЬШОЕ СПАСИБО ЗА ВСЕ!!! Nearby there are many cafes and restaurants, a grocery store. The farmstead "U Arthur" is located at the entrance to the village. Solochyn, 5 km from the center and the railway station Svaliava, on the river bank. 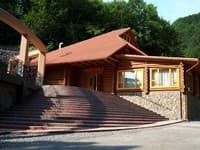 The nearest ski lift is 500 m. The nearest café "U Lesi" - 150 m, the restaurant "Melisa" - 200 m, the sanatorium "Kvitka Polonini" - 400 m.
By public transport - to the station. 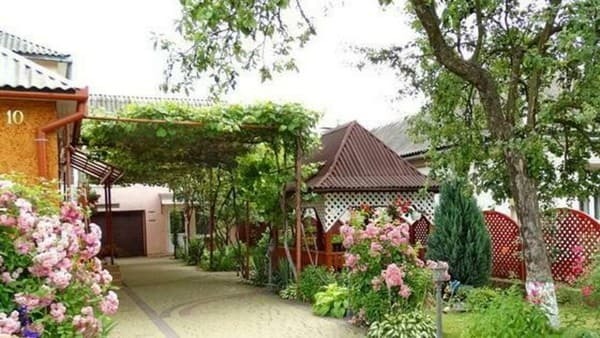 Svalyava by any train to Uzhgorod, then by bus, minibus or taxi. It is possible to book a transfer from the station. By car - along the road Kiev - Lviv - Chop (M-06), in Svalyava turn on with. Glade, for with. Dove, at the entrance to the village. Solochin for the sanatorium "Kvitka poloniny" turn right.